Over the President's Day weekend, the Boys Pre-Development Academy (PDA) 2003 Select Team won the Potomac President's Cup in Maryland. 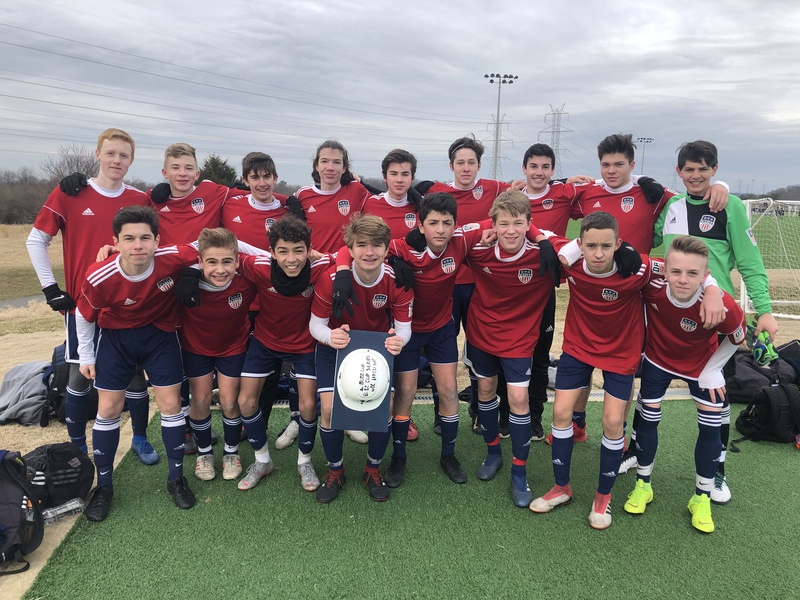 The PDA 2003 Select Team is made up of some of the top players from Empire Buffalo, Empire Rochester and SDA at the 2003 age group...many of which were on the DA u15s last year but are not ready yet to play "up" at the u17 age group. The group trains once a week with our Boys DA staff in addition to training and playing matches with their respective club team. This was their first event together and a dominating success both in terms of results and style of play. The win qualifies them for the Potomac Memorial Day Event. Empire United is a member of US Soccer's Development Academy League (US Soccer run 'DA' league) and has a u15, u17 and u19 teams in the Boys DA and u14, u15, u17 and u19 teams in the Girls. The u17 age group is comprised of 2002 and 2003 players; the 2003 being on the younger side of the age group. Empire's u17 DA team is #17 in the country and has had positive results this season over many sides including MLS clubs NYCFC (3-3), Toronto FC (4-4), San Jose Earthquakes (2-1) and Crew SC (3-2).